Corinna grew up playing classical music, but fell in love with folk music as a teenager. At age 18 she was cast as the only American in the internationally touring fiddle-pop sensation Barrage, with whom she performed for two years. 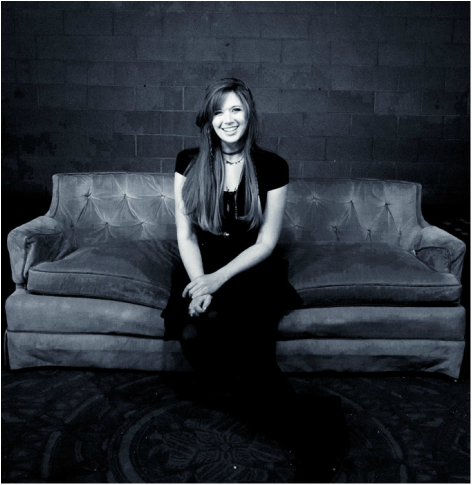 Corinna attended Michigan State University where she studied violin with Dmitri Berlinsky and earned a degree in Music Education, then spent a year teaching music at the Mandeville Conservatory in Singapore. In addition to violin, she plays piano, clawhammer banjo, and sings. In January 2016, Corinna and four string-playing friends set a world record playing their instruments at the summit of the 19,341ft Mt. Kilimanjaro; their expedition raised funds for Tanzania's Kilimahewa Educational Centre. A passionate volunteer, she has also recently traveled to Bolivia to volunteer at La Senda Verde Wildlife Refuge, and is currently active with Adam Ezra Group’s nonprofit organization Rallysound. This year, Corinna has pledged to help activate US voters with her “Folkin’ Vote” initiative, bringing supplies to help new voters register, current voters to commit, and important voter information to every show she plays within the United States all year. Learn more about Folkin’ Vote and join the movement here! Corinna has performed and taught in 42 states, six countries, and is currently touring with Boston-based roots-rock band Adam Ezra Group.